The slab of concrete sits at the end of miles of otherwise well-kept parks along the North Shore Channel. Untouched for at least a decade, the empty parking lot is filled with graffiti and broken glass and has become a magnet for crime. Long-patient West Rogers Park residents hope that may change soon. David St. Pierre, executive director of the Metropolitan Water Reclamation District, met with more than 100 members of the community last month to hear their ideas about turning the space at West Devon Avenue and McCormick Boulevard into a park or green space. The reclamation district owns the lot. The Jewish Community Council of West Rogers Park has led efforts to upgrade the area, and its yearlong push for meetings with officials may have finally paid off. "That parking lot is really in many ways a gateway to many neighborhoods," said Shalom Klein, executive director of the community council. "Especially Rogers Park, Lincolnwood, Peterson Park, as well as cultures and people that live in that area." St. Pierre estimated it would cost $200,000 to $300,000 to tear down the parking lot, install turf and repurpose the area, but he said the district doesn't have a final estimate for the project yet. St. Pierre said he plans to bring a proposal to the district's board of commissioners at its next meeting April 9. If the board approves the plan, he said he hopes the project could begin "as soon as possible." 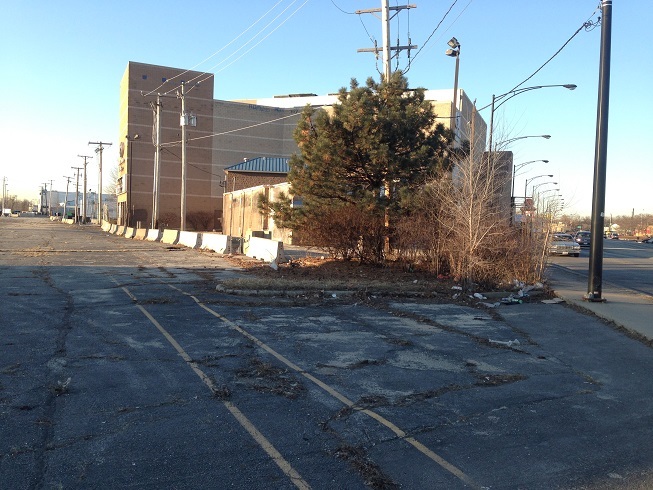 At one end of the property sits an abandoned movie theater and car wash. Howard Rieger, president of the community council, said the two buildings aren't owned by the reclamation district and therefore cannot be included in the renovation plans for the empty lot. The two buildings are under the jurisdiction of the 50th Ward. Ald. Debra Silverstein, 50th, said last week that any changes to the current structures are in the "early stages." She had no further comment. Klein said members of the community council and neighborhood residents hope to remain involved in developing plans for the lot, something St. Pierre said he would also like to happen once the project is funded. Although Klein mentioned one idea of turning the space into a public park, he and St. Pierre said future conversations would determine how the space could best serve the neighborhood. Klein called the initiatives over the past year a "strong community effort." "We really want to represent the community that hasn't had the opportunity to enjoy that property for close to 10 years," he said.